The University of Scranton will host the fifth annual Jay Nathan, Ph.D., Visiting Scholar Lecture Series on Thursday, April 19, from 5 to 8 p.m. in the Moskovitz Theater of the DeNaples Center. 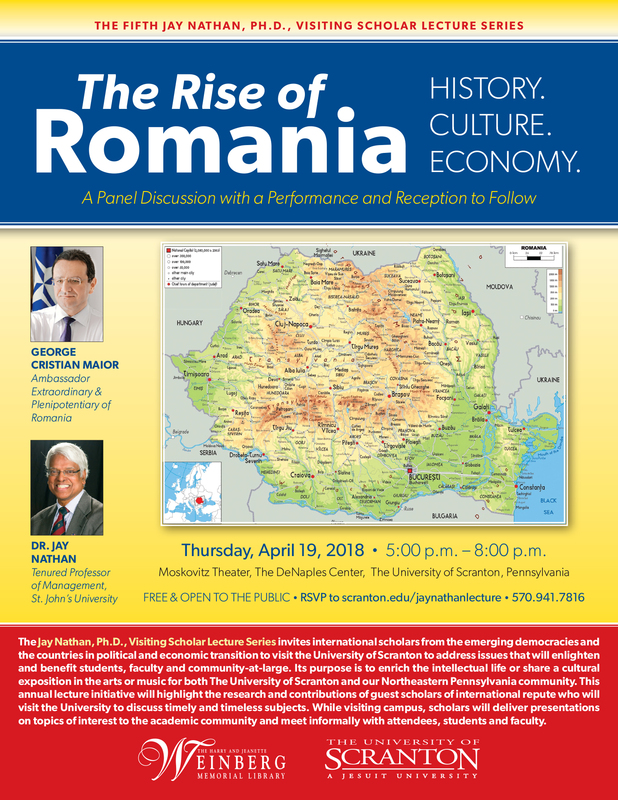 At the event, George Cristian Maior, Ambassador Extraordinary and Plenipotentiary of Romania to the United States, and Dr. Remus Stefureac will join Dr. Nathan for the panel discussion, “The Rise of Romania: History. Culture. Economy.” The talk will be followed by a performance of traditional Romanian music and dance by the professional dance group “Folcor” and a reception. The event is free of charge and open to the public, and made possible through the generosity of Dr. Nathan, a former professor in Scranton’s Kania School of Management who is now a tenured professor of management at St. John’s University in Queens, New York. A recipient of the Fulbright Travel Scholar Grant to Romania, and the Fulbright Senior Scholar Awards to Thailand, Poland, Kazakhstan, and Mongolia, Dr. Nathan is a member of the Board of Directors of the Fulbright Association. He serves as editor of the Journal of Global Awareness, and was past president of the Global Awareness Society International. In addition, he is the author of recently published books on Kazakhstan and India. Ambassador Maior has been in his current position since 2015, and prior to that he held a number of prominent positions within the Romanian government. Between 1992 and 1997, he was a diplomat in the Ministry of Foreign Affairs. From 2000 and 2004, he was state secretary and head of the Department for Euro-Atlantic Integration and Defense Policy within the Ministry of National Defense. In that role, he was responsible for coordinating the strategic and military dimension of Romania’s NATO accession process. In November 2004, he won a senate seat in the Romanian Parliament. In October 2006, Ambassador Maior was appointed director of the Romanian Intelligence Service (SRI). During the eight years he led the SRI, it went through an extensive reform process, allowing it to strengthen bilateral and multilateral partnerships with the most important intelligence services throughout the democratic world. A university professor and Ph.D. coordinator at the Department of International Relations and European Integration within the National School of Political Studies and Public Administration in Bucharest, Ambassador Maior has been a keynote speaker at many prestigious universities, organizations and think tanks, including Harvard University’s Kennedy School of Government, George Washington University, American University, Atlantic Council, Center for Strategic and International Studies, Chicago Council on Global Affairs and the Center for European Policy Analysis. In 2017, the CIA awarded him with the Earl Warren Medallion for his leadership during his tenure as director of the SRI. Leaves of Class XIX – June & July Winners! Comments Off on Leaves of Class XIX – June & July Winners! Congratulations to Irene Fotta & Mary Beth Hennigan from Clarks Summit, our June winners, who won a 5 class card from Jaya Yoga Studio, a one year couple membership to The Schemel Forum, a PRO Fitness Club basket including one 3-month membership & 2 personal training sessions gift certificates. Irene & Mary Beth also won a gift certificate to Sanderson Place Salon & Spa Scranton ($75), admission tickets to Montage Mountain Resorts Waterpark, 6 flex tics to the Wildflower Music Festival and tickets to the Wyalusing Valley Wine Festival. Congratulations also to Kevin Clarke of Dunmore, our July winner, who won a basket of cheer compliments of Ann Moskovitz, a “Family Fun” gift basket from The Commonwealth Medical College, a Mountain View Vineyard wine basket and bottle opener set, seven wines in a lovely Longaberger basket courtesy of Charles Kratz and Charlene Reese, a Coleman Roadtrip portable propane grill courtesy of Fidelity Bank, and a ceramic chip and dip Telavera platter. Kevin also won gift certificates/cards from The Epicurean Delight Catering, Inc. ($100), Wegmans ($100), Bella Facia ($25), DOMA Importing Company ($25), Gold Crown Pizza ($25), Mansours Market ($25), Quinn’s Supermarket ($25), and Tasty Freeze Ice Cream ($25). There are still FIVE chances to win! Our next drawing for Leaves of Class XIX is August 31, 2017. Leaves of Class XIX – January Winner! Comments Off on Leaves of Class XIX – January Winner! Congratulations to Catherine A. Bolton from Lake Ariel who won event and performance tickets courtesy of The Broadway Theatre League of Northeastern Pennsylvania, The Northeastern Pennsylvania Philharmonic, the F.M. Kirby Center for the Performing Arts, The Ballet Theatre of Scranton, the Actors Circle, Community Concerts at Lackawanna College and The University of Scranton Players. Catherine also won four club seats to a Penguins home game courtesy of PNC Bank, gift cards/certificates from Alexander’s Spa & Salon and Aramark, a calendar and two large jar candles from American Candle, a 1 year family membership from the Everhart Museum, and a diamond bracelet courtesy of Midori Yamanouchi, Ph.D. There are still ELEVEN chances to win! 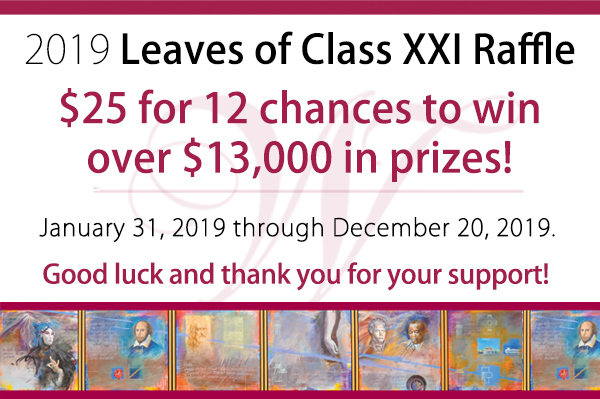 Our next drawing for Leaves of Class XIX is February 28, 2017. Leaves of Class XVIII – December Winner! Comments Off on Leaves of Class XVIII – December Winner! Congratulations to Jim & Dee Carroll of Beach Lake, our December Leaves of Class winners, who won an iPad from The University of Scranton, Division of Information Resources, a gift basket from Medicus Express Care, a basket of wine and spirits courtesy of Nimble Hill Winery, Mary Ellen Picchiarello, William Varady, and Debra Pellegrino, a Longaberger basket of wine courtesy of Charlene Reese and Gretchen Welby, a Literary Classics Book Basket from Library Express, a copy of Orange is the New Black from Carroll & Carroll Booksellers, a tea and scone basket from Something Old & Something New Marketplace, and gift certificates to Alexander’s Family Restaurant and Alibris. Thank you to all who participated in Leaves of Class XVIII! 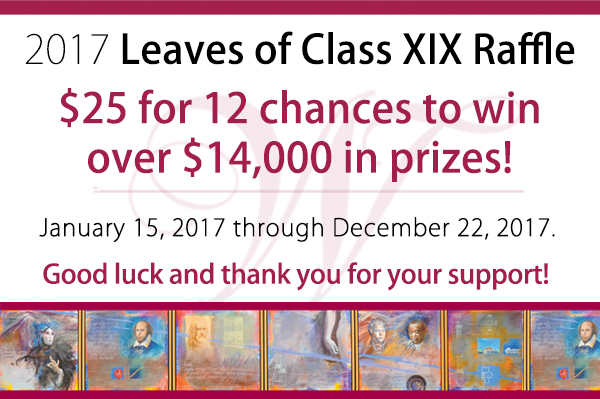 Our first drawing of Leaves of Class XIX is January 31, 2017. To purchase entires online, visit: www.scranton.edu/leaves. Online Reservations for 2016 Distinguished Author Award Now Open! Comments Off on Online Reservations for 2016 Distinguished Author Award Now Open! For what is sure to be a sell-out event, purchase your admission or sponsorship today! (Invitation packets will be mailed the beginning of September. Checks made payable to The Friends of the Weinberg Library may be mailed in advance of the packets to reserve your seat. For more information visit www.scranton.edu/authaward or contact kym.fetsko@scranton.edu, 570.941.7816. 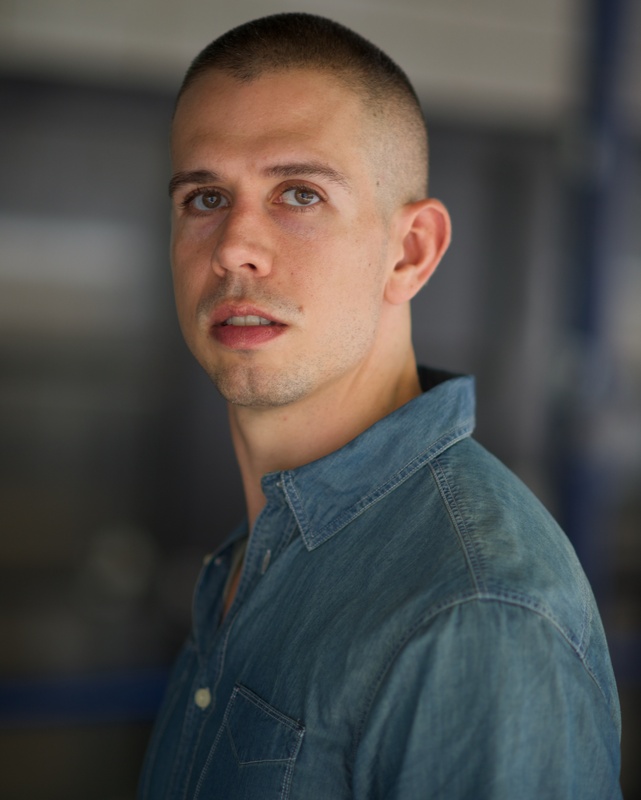 Stephen Karam is best known for his Tony-Award winning play The Humans, which centers on a Thanksgiving dinner in a New York City apartment, hosted by a former Scrantonian for her parents, sister, and grandmother, who have traveled in for the day from Northeastern Pennsylvania for the holiday. In addition to the Tony, The Humans was also awarded the Drama Desk Award, the New York Drama Critics Circle Award, the Outer Critics Circle Award, the Drama League Award, and was a finalist for the 2016 Pulitzer Prize. Mr. Karam also received the 2016 Obie Award for Playwriting. Stephen’s Sons of the Prophet, was a finalist for the 2012 Pulitzer Prize and the recipient of the 2012 Drama Critics Circle, Outer Critics Circle, Lucille Lortel and Hull-Warriner Awards for Best Play. Other plays by Mr. Karam include Speech & Debate, the inaugural production of Roundabout Underground; and the libretto for Dark Sisters, an original chamber opera with composer Nico Muhly. For film, he has written screenplay adaptations of Chekhov’s The Seagull (starring Annette Bening, Elisabeth Moss, Corey Stoll and Saoirse Ronan), and Speech & Debate. Stephen is the recipient of the inaugural Sam Norkin Off-Broadway Drama Desk and Horton Foote Playwriting Awards. He teaches graduate playwriting at The New School. A graduate of Brown University, Stephen was born and raised in Scranton, PA.
CLICK HERE TO PURCHASE SEATS!